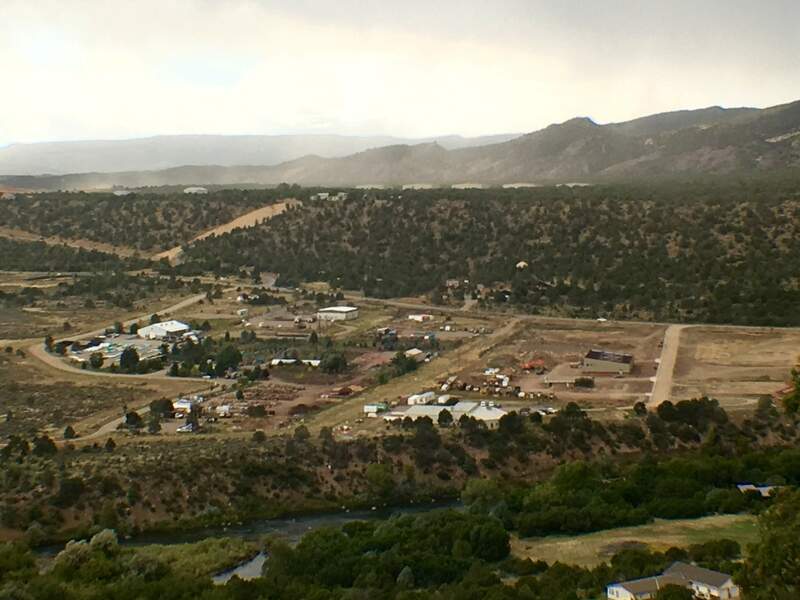 Local officials and municipal attorneys warn that a proposed constitutional amendment – backed by the Colorado Farm Bureau and the oil and gas industry – will blunt the ability of cities, towns and counties to make many land-use decisions. The measure is Initiative 108. Backers are currently gathering signatures in hopes of placing the measure on the fall ballot. It would enable property owners to seek compensation if a law or regulation reduces their land’s “fair market value,” such as by restricting oil and gas operations. Under current law, a government has to compensate only if a property is taken by eminent domain or its action leaves the land with no economic use. Also seeking a spot on the ballot this fall is another measure, Initiative 97, which would increase buffer zones between new oil and gas operations and homes from the current 500 feet to 2,500 feet, potentially affecting the value of property owners’ mineral rights. Switching from a total taking to fair market value could spawn countless lawsuits over a myriad of basic local land-use decisions, such as zoning and siting municipal facilities, said Robert Widner, an attorney who represents cities, towns, counties and special districts. La Plata County is currently seeking to update its land-use code, which hasn’t had a serious overhaul since the 1980s. Part of that land-use code rewrite could include zoning. La Plata County is only one out of a handful of Colorado counties without zoning. She said it is too early to say how this proposed legislation may affect La Plata County’s plans to update its code. Supporters aim to protect propertyThe initiative’s supporters say the critics are exaggerating the proposed constitutional amendment’s impacts. The Farm Bureau’s support begins with its right-to-farm concerns. The oil and gas industry, which is backing the measure through its advocacy group Protect Colorado, is worried about local actions limiting access to fossil-fuel reserves. “I understand their concerns, but local and county government is collateral damage here,” Mamet said. Martini said that courts have set “an extremely high standard on taking” and that is unlikely to change. The law has already established that nuisance, health and environmental regulations do not come under the takings standard, he said. According to a statement from Save Our Neighborhoods, Initiative 108 “would open up essentially all state and local government regulations to legal threat by individuals or companies who believe they should be making more money from their property.” That could mean, for example, that marijuana stores could be built near schools, or that industrial activities could be located next to hospitals. Backed by gas industry moneyWhile the issue committee backing 108 – Committee for Colorado’s Shared Heritage – has yet to show any activity, the real muscle behind the initiative is coming from the deep pockets of the oil and gas industry and their primary issue committee, Protecting Colorado’s Environment, Economy, and Energy Independence, aka Protect Colorado. Several major oil and gas companies are already pouring millions of dollars into Protect Colorado, not the Committee for Colorado’s Shared Heritage. However, the latter is expected to handle much of the work on behalf of the measure if and when it’s certified for the ballot. According to TRACER, the Secretary of State office’s campaign finance system, Protect Colorado has raised $10.8 million since Jan. 1 for the November ballot fights. The committee has already spent $6.2 million in this election cycle on petition signatures, campaign marketing and strategy. That money went to Pac/West of Oregon, which has raked in more than $28.7 million in the past four years, most of it from Protect Colorado and for similar activities. The biggest contributors? Anadarko Petroleum, Colorado’s biggest oil and gas producer, at $2.7 million; Extraction Oil and Gas, at $2.1 million; Noble Energy, at $2.4 million; and PDC Energy, at $1.9 million. Those dollars are also engaged in a second fight, against a ballot measure requiring a 2,500-foot setback for oil and gas drilling activity. Whether that ballot measure, which in recent weeks has faced problems with one of its petition firms, will turn in enough signatures to qualify for the ballot is unknown. Concerns about rezoningSome municipal officials and attorneys remain unconvinced. “I don’t think we as public officials disagree that people have to be compensated for the taking of property, but now every rezoning could require compensation,” said Matt LeCerf, town manager of Frederick in Weld County. LeCerf said the town is currently looking at rezoning a commercial-hotel parcel to residential. There is plenty of land zoned for hotels in the town and the parcel in question is flanked on three sides by residential zones, he said. “Rezoning makes sense, but is it exposing local government?” LeCerf said. Frederick has a right-to-farm ordinance and several oil and gas drillers operating in the town. “If that’s the concern, the solution should be more narrowly focused. Do it through legislation, not changing the constitution,” LeCerf said. Martini said that the bureau’s concerns extend beyond the farm field to other land uses, and that a showing of “non-speculative damage” has occurred would have to be made. “Depending on the circumstances, you could have a really hard time proving that,” he said. ‘You can’t anticipate everything’Embedding policy in Colorado’s constitution – from the Taxpayers Bill of Rights to legalizing marijuana – has often created policy and management problems after the fact, said Richard Collins, a professor of constitutional law at University of Colorado Boulder law school. Part of the reason for Colorado’s constitutional amendment onslaught in years past was that it was easy to get the initiatives on the ballot, Collins said. That changed with the passage in 2016 of a constitutional ballot measure, “Raise the Bar,” which increased the vote needed for passage to 55 percent from 51 percent. “Fifty-five percent is gigantic. Few initiatives have received a 55 percent vote,” Collins said. A second provision that required at least 2 percent of petition signatures be gathered in each of the state’s 35 Senate districts was ruled unconstitutional by a federal district court, but it is operative this election while the ruling is under appeal. The petitions for November’s ballot must be submitted by Monday. Once a measure gets into the state constitution, legislators and jurists are faced with developing “work-arounds” to deal with problems that crop up, Collins said. The marijuana amendment, for example, provided the personal right to grow up to six plants at home and more if a medical need is documented. The amendment did not anticipate a case of a frat house with multiple residents each growing six plants, nor did it limit where these plants could be grown, Collins said. Washington state legalized the use of marijuana by statute in a referendum. “If one of those things passes and it is in the constitution, it could cause a lot of trouble,” he said. Durango Herald writer Jonathan Romeo contributed to this report.This story has been updated to correct the year that Amendment 71 was passed by Colorado voters. It was passed in 2016.